Since its founding in 2006 EUPRIM-Net has been dedicated to provide high-quality education for persons working with non-human primates. We believe that education is crucial for promoting animal welfare and best practice. Therefore we aim to ensure that knowledge and new developments spread quickly across Europe to support science that meets the highest ethical standards for NHP-based animal research. Currently the EUPRIM-Net Education Program offers two courses and a lecture series. With the Laboratory Animal Science Course (LAS course) we target especially scientists and academic personnel which are about to start working with NHPs. As of 2017 the course has been accredited by the FELASA and is to this date the only FELASA accredited course which specifies on non-human primates in Europe. The second course is focused on topics relating specifically to the work of technical and care personnel. 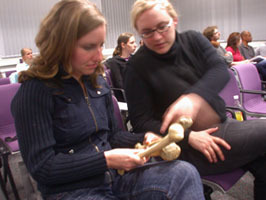 Every installment of the course will focus on a different topic important when working with non-human primates. The course also addresses personnel outside academia, such as zoos. 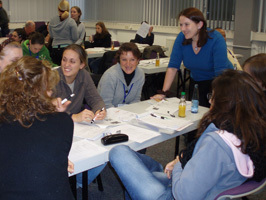 Currently the course is held in German. The lecture series was developed in the latest funding period of EUPRIM-Net II. It offers lectures on different topics which can be held on site at your own facility by members of our ABM seminar group. Please contact courses @ euprim-net.eu for more information, registration for courses or to be included into the mailing list.